Here is a story that I had never heard before of the first time Mark Lapidos (Founder of The Fest for Beatle Fans) first met John Lennon. I found this story on the Fest's facebook page. It was outside Apple Headquarters at 3 Savile Row in London. I had just graduated college, so my friend Bob and I went off to Europe for a few months. First stop was London. First landmark was The Beatles offices on a street just off Picadilly Circus. We walked into the office and I asked the secretary (not Freda Kelly) if I could have any type of souvenir. She gave me a piece of Apple stationery. I asked where The Beatles were. 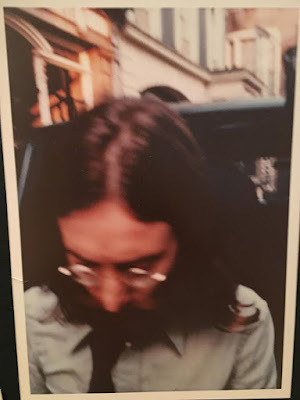 She told me George was on holiday in France, Paul was on holiday in Greece (or vice versa), Ringo was home, and John & Yoko were in there, as she points to a door less than 10' from us. She said to wait outside and John would eventually come out. The office was Neil's - the front room and the window was open. 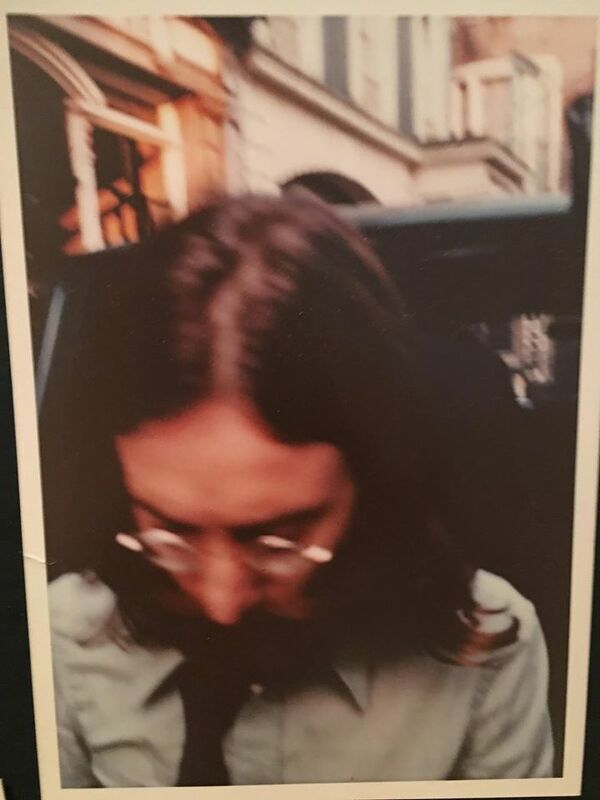 At some point John plugged in and played some new music (likely from the not yet recorded Abbey Road album). After 2 1/2 hours of waiting, a truck arrives and the driver opens the back doors and we can all see a fireplace in it. On a warm, bright sunny day at 7:45 p.m., John comes out of the office with three genuine Apple Scruffs and a few other fans. I was the only one he spoke with. He came out to look at the fireplace!! This is really interesting, Sara! I didn't know Mark had met John at that time. I was probably outside that day!